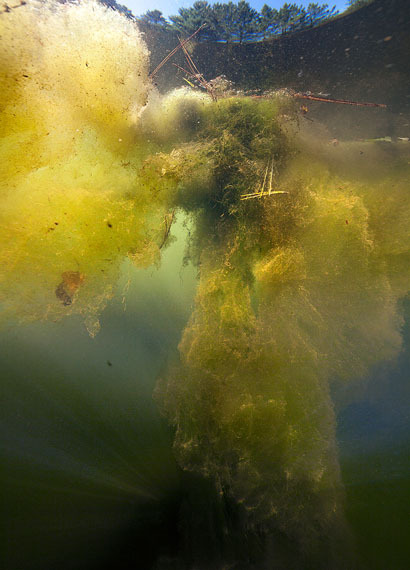 The ongoing photographic series "Underworlds" takes Isabelle Hayeur through North America to probe various underwater environments. 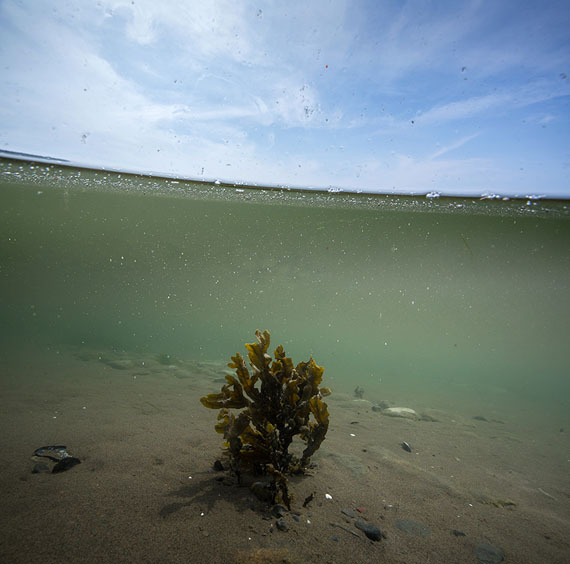 Working with a watertight housing that allows her to take sub aqua images and footages, she captures submerged environments of all kinds. 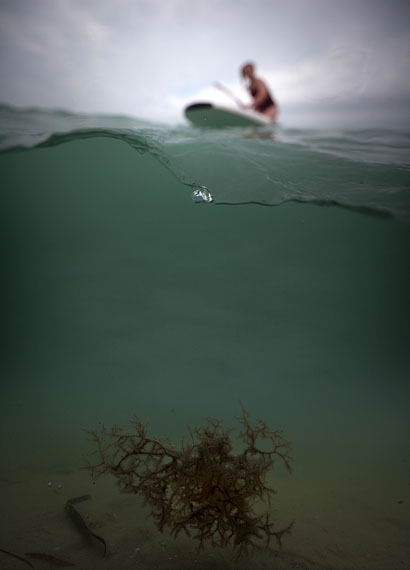 She is especially interested in altered environments, fragile and threatened ecosystems, but also in pristine and unique ecological conditions. She photographs them from an unfamiliar vantage point, eschewing capture from shoulder height. These views from the inside create a close relationship between the onlooker and the site being documented. They take us closer to these environments by plunging us in their midst, as it were. Isabelle Hayeur is known for her photographs and her experimental videos. Her work is situated within a critical approach to the environment, urban development and social conditions. She has taken part in many major public shows, including shows at the National Gallery of Canada, the Massachusetts Museum of Contemporary Arts, the Neuer Berliner Kunstverein in Berlin, the Today Art Museum in Beijing, the Hiroshima City Museum of Contemporary Art and the Rencontres internationales de la photographie in Arles.